Scientific studies have shown that a man is able to naturally select the cologne which will work the best with his natural body scent. This point cannot be stressed enough the best person who can determine the scent that will suit you best is yours. There is a reason why gifted scents tend to remain unused for years, don’t let someone else choose the scent for you. What will you wear this Valentines Day? What you should use others opinions for is to question or reinforce your decision. If you are being told by multiple people that your scent is a poor choice or a bit off, you should try something new. You should also never blind buy; this means that upon someone’s recommendation you purchase cologne without having tried it yourself. The best way to purchase a new fragrance is to test if your natural body odor and the perfume complement each other, this should be done in person and over the period of a day. A great place for this purpose is a department store, just be careful, it is easy to fall for the first not but make sure you do not buy until you are ready. Four is the maximum amount of scents to try at once, although personally I recommend only two if you are just starting out, one on each arm. Once scent can be sprayed in each wrist, if you are going for four the other two can be sprayed in each inner elbow as well. The cards that are provided by the department store to smell the colognes should be avoided. They only allow you to smell the top notes but not the way it smells on you, keep in mind that this is a chemistry experiment. Between each cologne you smell, use something strong to refresh your palate, coffee or tea will do. What you want is to smell all the notes. As explained earlier, over the next few hours, you can expect the scent to change. As you walk around the department store, at various intervals smell the fragrances. Take notes in a journal or even on your phone as to what you liked and why. Once you have a winner, purchase a bottle and start wearing it. Remember it is a process not a destination to wear a fragrance. There are men who end up purchasing and loving dozens of scents, so do not feel as if you have to nail it at your first or even tenth buy. What Size of Bottle Should You Purchase? There are various sized bottles that fragrances come in, however they generally range from 1 ounce to 3.4 ounces, there are however even bigger bottles as well. If the fragrance scene is new to you, simply because there is a lower risk, buy a smaller bottle or at least make sure to read reviews of the best cologne for men available at the moment. You aren’t sure yet how often you will wear it, and once you have been able to smell other scents, your tastes will likely change. 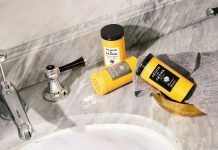 A fragrance will not last on the shelf forever, rapid heat fluctuations such as those that take place in most bathrooms, will cause the molecules found in fragrances to start breaking apart. The same thing happens with sunlight so try not to store on a window sill. By storing it in dark, dry, cool environment, you can extend the lifespan of the fragrance. An ideal place is in a bedroom closet. How Is a Fragrance Applied? All of us have been around men who simply overdo it with their cologne. The scent becomes off-putting because it is so overwhelming. This mistake can easily be avoided if you learn how to properly and judiciously apply your fragrance. Preferably spray perfume after you have taken a shower and on dry skin. The spray nozzle should be held around three to six inches from the skin as you apply it. Start off light, if you are not used to wearing fragrances, start with a single spray right on the chest. As you become more knowledgeable and comfortable on how cologne is properly worn, you can then move on a spray a few more other areas. The fragrance should be applied to heat areas, this means that the scent will be pushed all day long by your body heat, this create a pleasant scent trail which is commonly referred to as silage. All of these points should not be sprayed at the same time. Start off spraying only one as you become accustomed to the scent, after that you can spray two to three more spots. It is never recommended to spray on the crotch area, if there are any issues down there read over Brett’s article that discusses swamp crotch. You should only re-spray when needed, depending on how long the scent lasts, you can add some more sprays on your wrists. Avoid killing the note, it seems sensible to rub the perfume into the skin, however what it actually does is break the molecular bond, this causes a weaker scent. Never spray and walk, if you spray a fragrance in the air and walk through the mist it is completely worthless. Most of the time fragrances will simply drop to the floor. The fragrance should never be sprayed on your clothing, this means that the fragrance will not be able to mix with your natural oils, therefore it will not be able to naturally go through the various note stages as it should. Another reason is that many fabrics can be stained by the oils contained in the fragrance. Never splash, if your cologne is being applied from a regular bottle, with one finger pressed against the bottle’s opening, gently tip the bottle over. After you have some fragrance on your finger, dab on the areas explained above. Remember that less is more, fragrance is about discovery, and it should not be announced. Those around you should be able to smell the fragrance yet not feel overpowered by it. 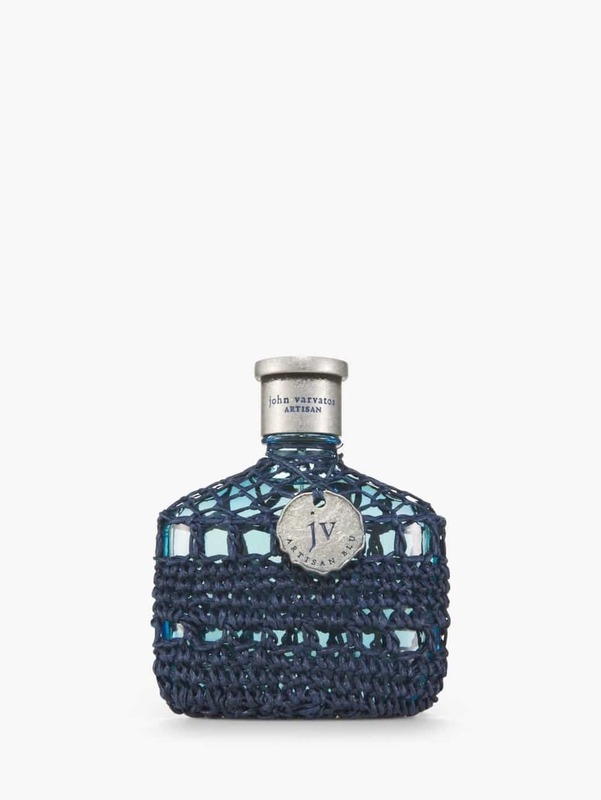 John Varvatos Artisan Blu was provided for this review. All opinions expressed above are my own.